Opal has been mined worldwide; however, Australia accounts for 96% of all commercial opal and is the main source of precious opal. Opal is mined in many locations throughout New South Wales, Queensland and South Australia. T he main areas of opal production are Mintabie, Lightning Ridge, Coober Pedy, Andamooka and Queensland. Most opal in Australia is found in Cretaceous rock with one exception; opal from the Mintabie area is found in Paleozoic rock. Opal may form in vertical or horizontal seams in the sandstone as well as in fossilized formations. Because of the unique conditions under which opal is formed, it is nearly impossible to find two opals exactly the same. The ancient Romans first popularized opal. 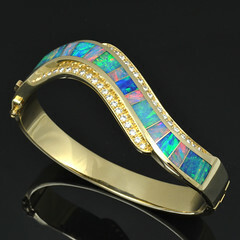 T he Romans believed opal brought the owner good fortune and carried the gem as a good luck charm. The early opal of the Romans is thought to have been mined in a mountainous region of what is now Czechoslovakia. Precious opal was used in the crown of the Holy Roman Emperor as well as the crown jewels of France. Fine opal gems are today owned and worn by Royally and Heads of State. Queen Victoria was a lover of opal and often presented her friends and daughters with gifts of opal. Opal became highly sought after when the Royal Court of Britain began wearing opal after its discovery in Australia. Royals were regarded as the model of fashion around the world and soon opal was fashionable worldwide. Today you will find opal used in various qualities and forms. Opal appears in jewelry in grades ranging from milky white to the finest black stones. Opal may be cut into solid cabochons, doublets or triplets. A doublet is formed by attaching a black backing with epoxy to the opal, thereby enhancing the color. 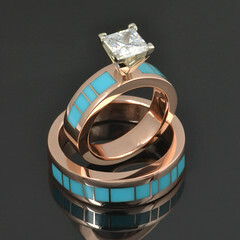 A triplet is made by sandwiching a thin slice of opal between a black backing and a piece of polished quartz. Doublets and triplets are both considerably less valuable than solids. 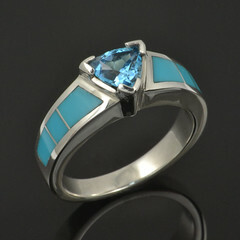 Opal inlay has become very popular over the last twenty years. Inlaying involves precisely cutting the stone, grinding it to fit in a channel, and gluing it in place. The opal is then ground down flush with the metal and brought to a high polish. 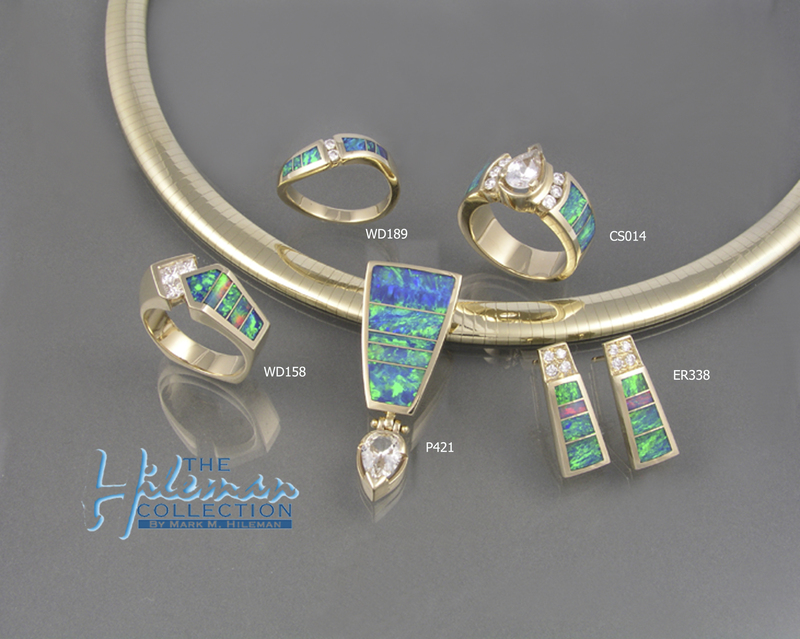 Some fine examples of precision inlay can be seen in all of our opal inlay jewelry. Special care should be taken to prolong the life of your opal jewelry no matter what form or grade you purchase.